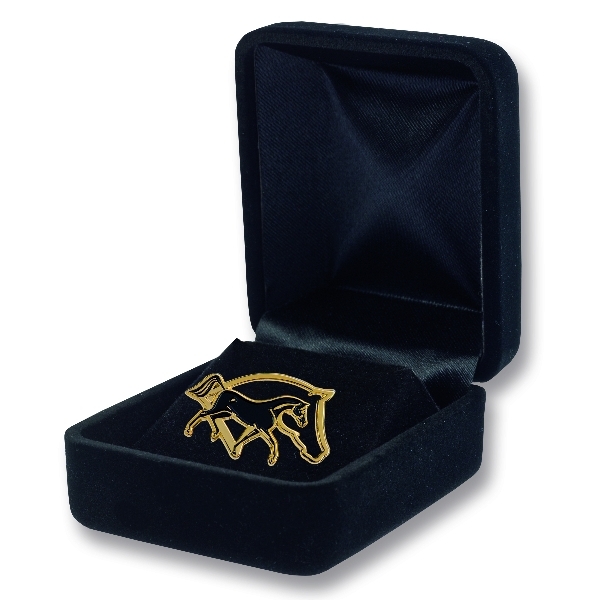 Order Horse, Horseshoe, and Equestrian Design lapel and tack pins online in a variety of styles. These horse pins make a great gift for any horse lover. Driving Horse Heads in Heart Pin Platinum plated and comes in a blue velvet clam shell box with satin lining that features Beverly Zimmer's signature. 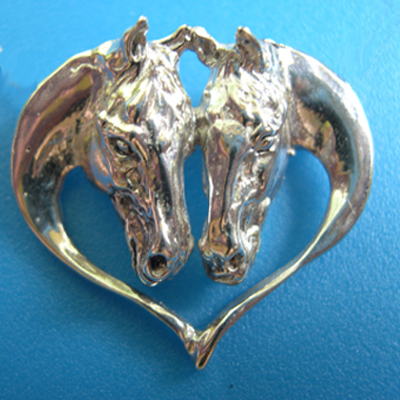 Horse and Horse Head Silhouette Brooch. Perfect as a lapel pin or a stock tie pin. 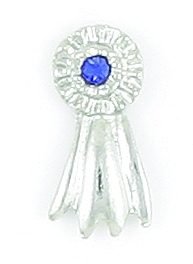 You can lead a Horse to water and everyone will drink up the elegant beauty of this Horse Pin. Made of antiquated looking pewter, this gorgeous Horse Pin measures at 1 1/4 x 1 1/4 inches and features 2 push on clasps to fasten it securely in place. 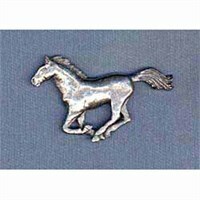 Horse Pins capture the majesty of this amazing animal and make a great gift idea for both men and women. You can wear this appealing Jewelry on any lapel, hat, jacket or shirt and have everyone riding the range right along with you!